whether it’s a temporary need or a long-term condition, dealing with restricted mobility should be pain free. 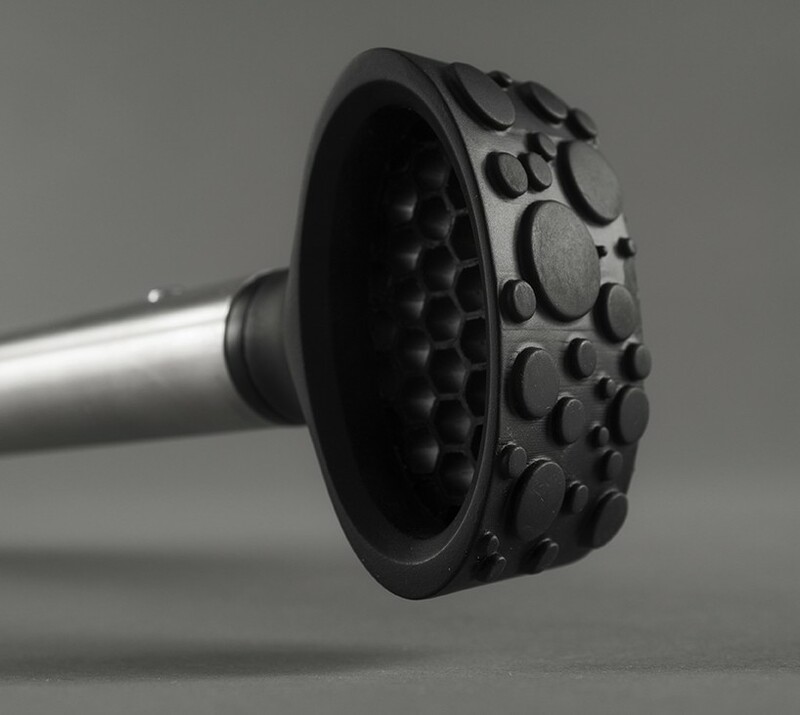 mobility design has focused their energy on revolutionizing crutches because they believe that they should improve the user’s quality of life, functionally and emotionally. the design took into consideration what they saw as the greatest problems with under arm crutches and forearm crutches, creating a product around a simple premise: elbows, not armpits. 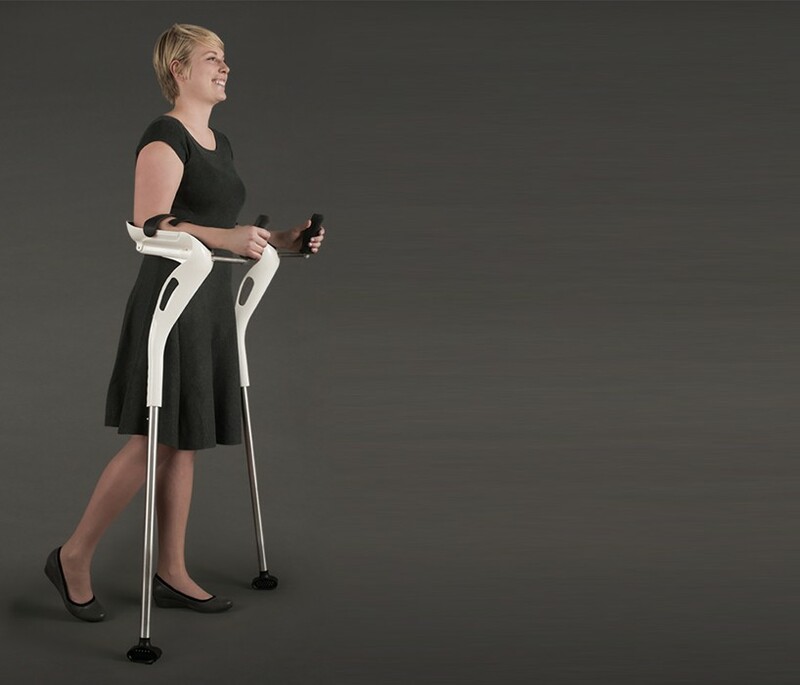 each ‘m+d crutch’ has two flexible armbands that hold them to the user’s arm without strapping them down or locking them in. 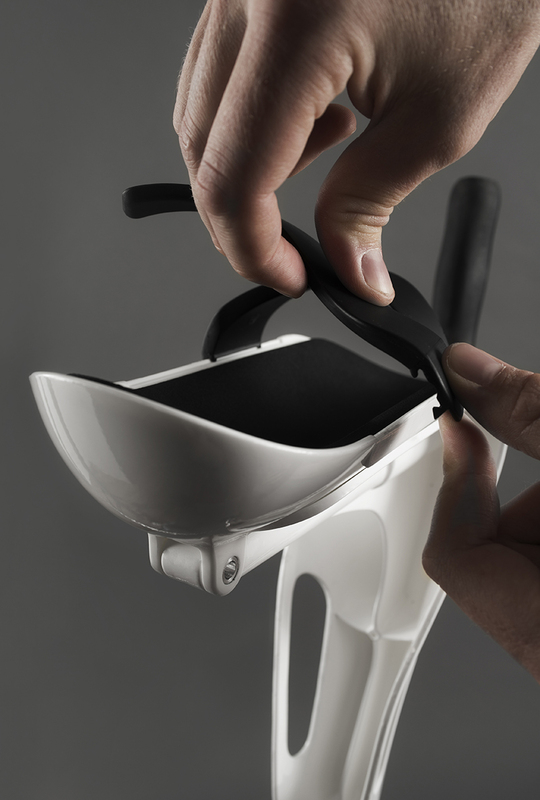 their curved design and material allows the user to pull out their forearms easily while holding them in place when using the ‘m+d crutches’ in hands-free mode. the flexible arm straps can be placed together on either side of the arm cradle, or on opposite sides, and can be easily moved along the length of the cradle to fit the user’s personal preference. moving the flexible arm straps is an easy process that requires no tools. 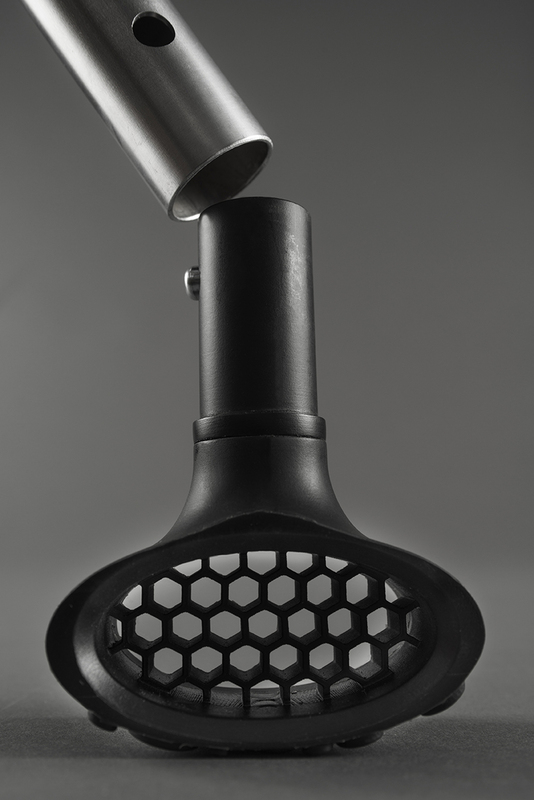 the ‘m+d crutch’ comes with a standard foot designed to absorb some of the shock of each step. the tread and material flexibility allow the crutch’s foot to conform to the ground and grip it to prevent slipping. the standard foot can be easily removed and replaced with other feet designed for various terrains and activities. alternative feet will be available in the future. a button on the hand-grip unlocks the handle and allows the user to adjust its length and rotate it away from their hands and start using the ‘m+d crutches’ in hands-free mode. a sliding button under the arm cradle unlocks the cradle allowing it to click in and out of the main body to allow users to lift their arms while still wearing the crutches. the cradle can also be locked to remain in place while using it hands free. read more about the project, and support it on kickstarter, here. I will be having a 3rd knee replacement (on the same knee) in the near future & am interested in acquiring the M & D Crutch. How do I go about doing this? I been looking for these. I have been on crutches for a long time and now the thumbs have to be repaired. Where can I purchase a pair? 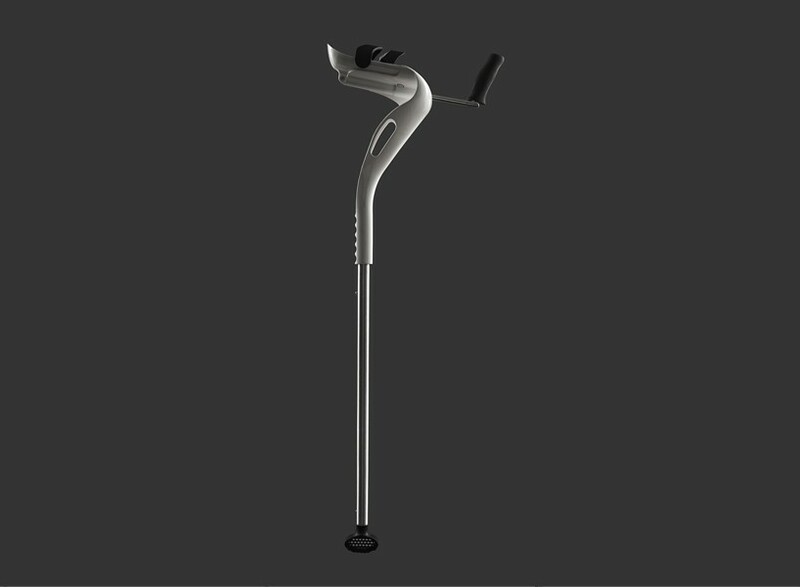 I would like to now information to buy and send a M+D Crutch for me in Brasilia, Brazil. Is there a place that carries these new crutches yet? Where could these be purchased? I’m so excited to see this new design. 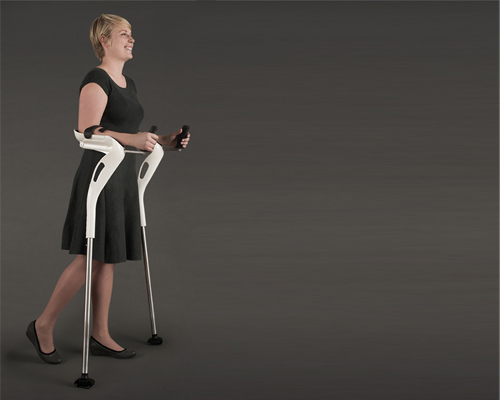 I’ve used Platform Crutches for 28 years, but these look so much more comfortable and more user friendly. Are they on the market, yet? do you have” feet” which can be used on slippery surfaces and where is your company located ?